In October 2018, it was reported that Ohio governor John Kasich had met with CNN boss Jeff Zucker to discuss a possible gig. 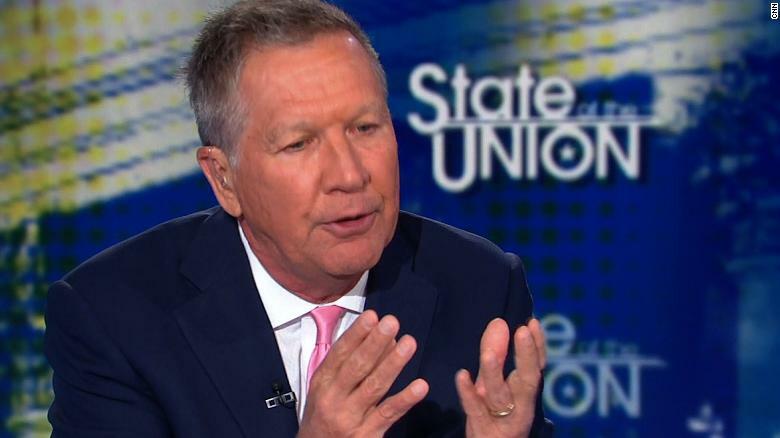 Now, as the former Ohio governor and possible 2020 Republican challenger to President Donald Trump, Kasich has joined CNN as a senior political commentator. He will contribute to all of the network’s platforms, CNN announced. He will make his CNN debut tonight on Cuomo Prime Time. Thank God this traitorous skunk didn’t return to FOX as now there is no chance I’ll have to watch him. He burned his bridges in Ohio at the end of his term, and a lot of people who voted for him twice, now despise him. I don’t understand the value in having him. He’s politically irrelevant, and not even popular in his State. He never strikes me as particularly smart or insightful. His only claim to fame is refusing to drop out of the 2016 Republican primary, even when it was clear he had virtually no support amongst voters.